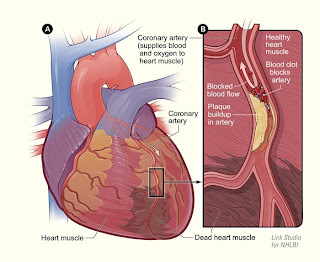 The typical symptoms of coronary artery disease are chest pain associated with shortness of breath. Classically, the pain of angina is described as a pressure or heaviness behind the breast bone with radiation to the jaw and down the arm accompanied by shortness of breath and sweating. Unfortunately, angina has a variety of signs and symptoms and there may not even be specific chest pain. Other locations of pain and other symptoms may include shoulder or back ache, upper abdominal pain, nausea and indigestion. Women, the elderly and people with diabetes may have different perceptions of pain or have no discomfort at all. Instead, they may complain of malaise or fatigue and generalized weakness and the inability to complete routine physical tasks such as walking or climbing stairs. Health care practitioners and patients may have difficulty understanding each other when symptoms of angina are described. Patients may experience pressure or tightness but may deny any complaints of pain. Health care practitioners may misinterpret these symptoms when patient answers "no" to the question whether "pain is present," even though the patient is experiencing other types of discomfort. 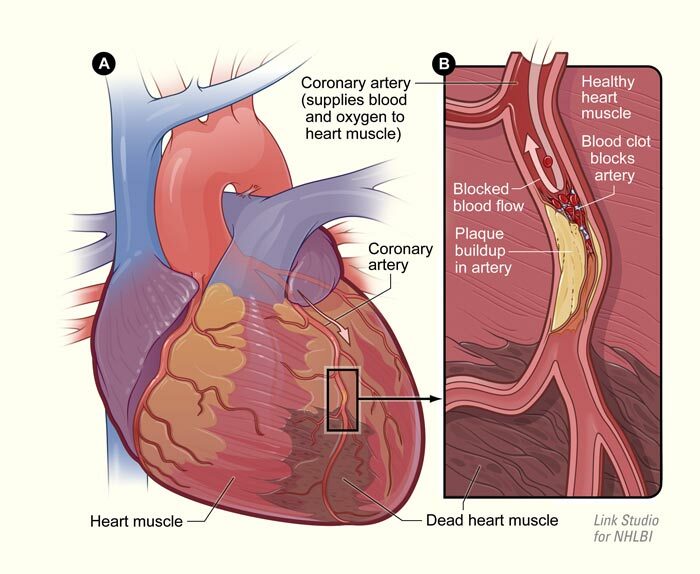 People with coronary artery disease usually have gradual progression of their symptoms. As an artery narrows over time, the symptoms of decreased blood flow to part of the heart muscle may increase in frequency and/or severity. Health care practitioners may inquire about changes in exercise tolerance (How far can you walk before getting symptoms? Is it to the mailbox? Up a flight of stairs? ), and whether there has been an acute change in the symptoms. Once again, patients may be asymptomatic until a heart attack occurs. Of course, some patients also may be in denial as to their symptoms and procrastinate in seeking care.